Here & Now | A Denver Style Blog: Sea Bags Giveaway! 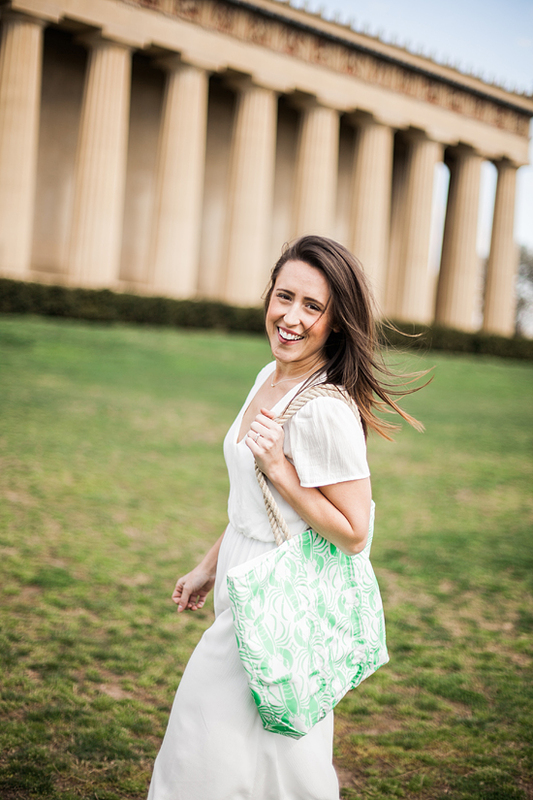 Today is the last day to enter to win your own Sea Bags tote! Sea Bags designs are made in the USA from up-cycled sails (collected directly from the sailing community & boaters themselves!). I love the chic nautical inspired prints & colors! I was pleasantly shocked when I read that in the last 15 years Sea Bags has saved over 500 tons of materials ending up in landfills - read more about their intentional bag making process here. Not only are the sails that Sea Bags uses for their creations incredibly durable, but they have so much character! Their collection of vintage bags are so eye catching, I love how they save the original insignia and designs of the sails, from their previous life on a sailboat! And they have seriously perfected the Beach Bag with their Ogunquit tote! 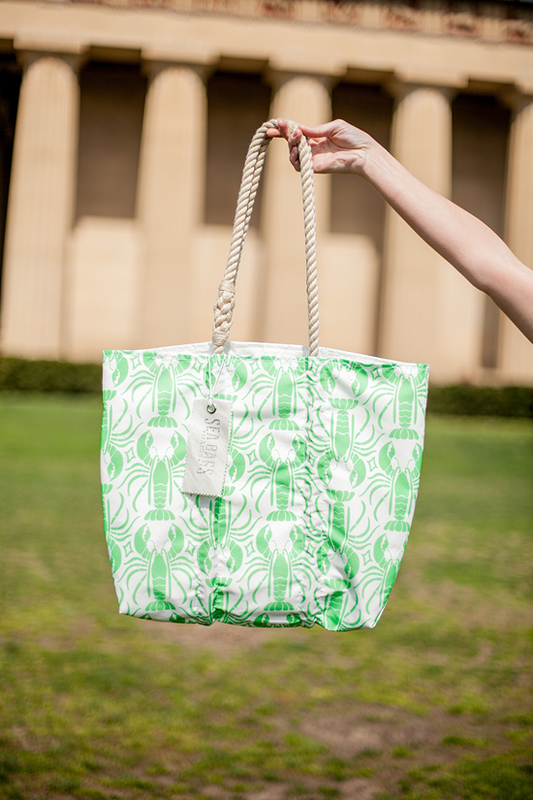 The bag I chose is their popular lobster tote that has been remixed in fresh lime green for Spring. Like all of their classic totes, mine is made with hard-wearing recycled sails & hand-spliced hemp rope handles (It is so cool how the rope handles go along the side & under the bottom for the ultimate support of your stuff!). Enter to win your own Sea Bags lobster tote using the Rafflecopter widget below. A random winner will be selected TOMORROW! You can easily earn entries, many different ways! !